Today, we’re launching a major new competition for emerging talent in the custom scene. 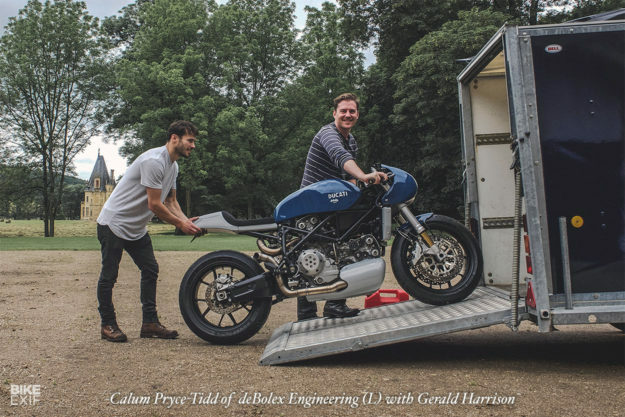 With prizes worth over $25,000 and a pair of Ducati donor bikes on offer, it’s a chance for two new builders to get a head start and make a name for themselves in front of a global audience. The judging panel includes Max Hazan (below), who needs no introduction here. 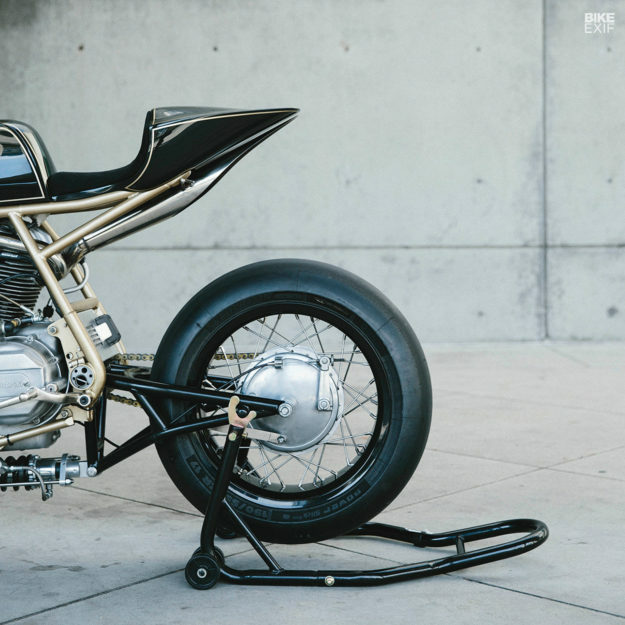 The two winning bikes will be featured on Bike EXIF, the world’s most widely read and respected custom motorcycle site, and will be exhibited at a number of high profile custom bike events from the spring of 2019. The driving force behind these awards is Gerald Harrison of The Harrison Collection. 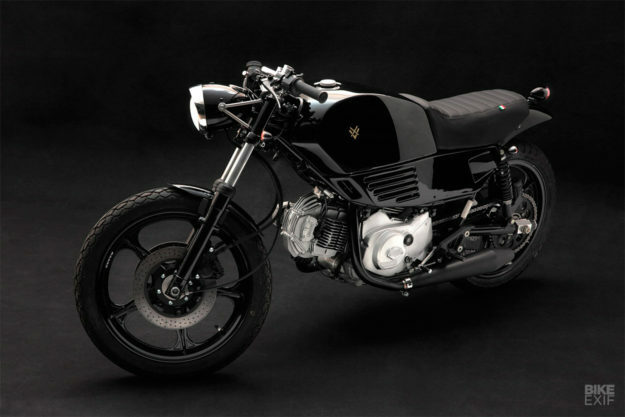 Based in the UK, it’s one of the world’s leading collezioni of Italian and custom motorcycles. 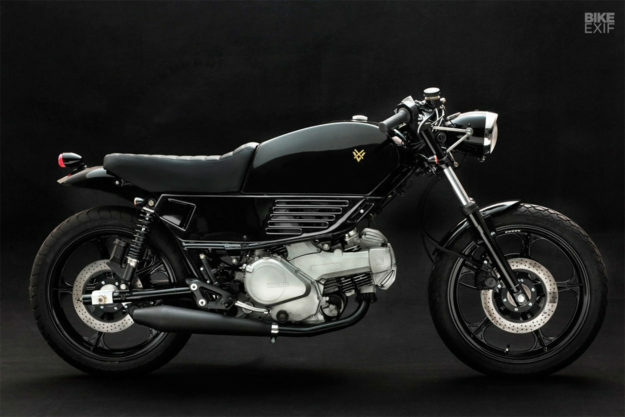 The purpose of the Award is to challenge emerging builders to produce bikes to an exacting standard. The two successful applicants will receive a contract for a commission, a donor bike and the budget to create their masterpiece. Anything goes in this competition, so feel free to unleash your ideas and creativity when you submit your entry. We just ask that the bike must run, and must be rideable. It would preferably be road legal in the UK too. Anyone can apply, but we are looking for builders at a specific point in their journey. We’d like to focus on people who have already demonstrated notable talent in one or two significant builds. We are not looking for complete novices, or established builders running custom workshops. We are looking for builders on the cusp. Entries are open right now, and you can submit your ideas until September 15, 2018. We will then whittle down the applicants to a shortlist of ten, which will be announced on October 6, 2018. Each one of the ten finalists will be given a budget of €400 to produce a render by October 21. We will then consider the renders in relation to the original applications, and refine the shortlist to five finalists, who will be announced on the November 1. We would then like to meet the finalists during the month of November, after which we will make our final decisions. The two winning builders will be announced on December 1, 2018. The builders will then have six months to build and deliver the bikes. The runner up will receive a rolling chassis 748, consisting of a fully functional bike but without fairings, fuel tank, lights, seat. This was a Tamburini icon, so the design bar is set high. The build budget that will be assigned for this project is €8,000. The winner will be working on an early M900, an excellent canvas upon which to create something truly unique. The build budget for this project is €15,000. There will be four judges. The first is Chris Hunter, the founder of Bike EXIF. He will be joined by Max Hazan, who has already collaborated with The Harrison Collection and whose work is instantly recognizable for its quality and simple beauty. 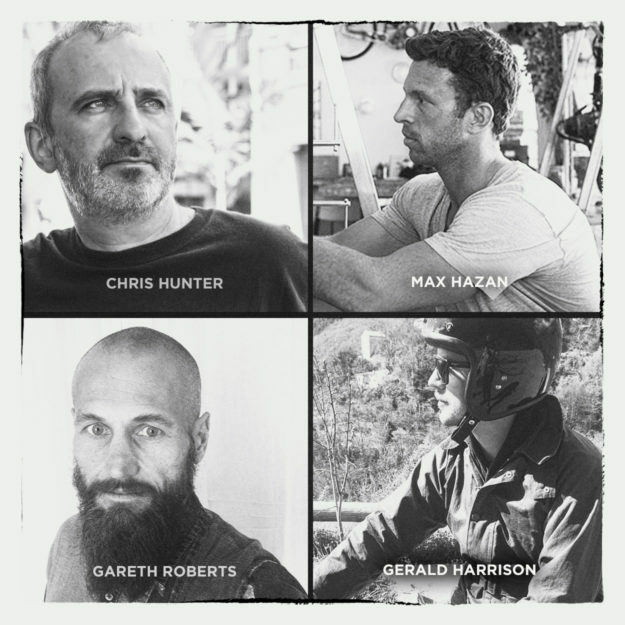 The third judge is Gareth Roberts, the director of the upcoming Oil In The Blood feature film documentary about the custom motorcycle scene. 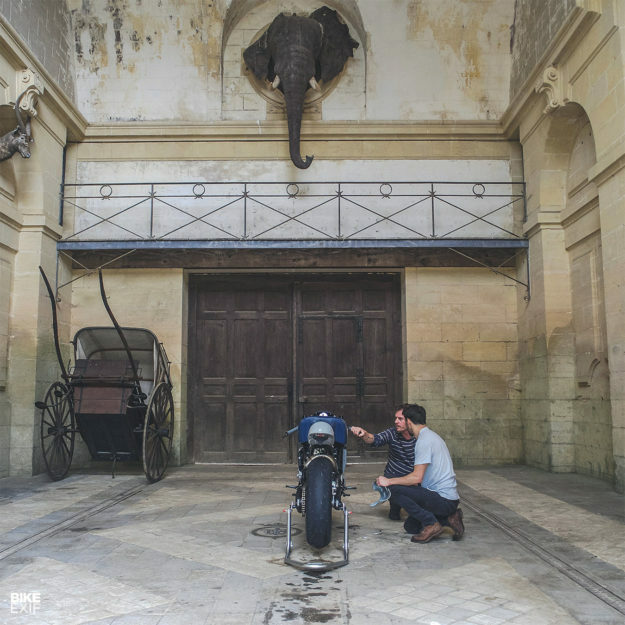 Gareth has spent the last two years filming all over the globe, and currently owns seven bikes—five of which are custom, including an extraordinary Ducati MH900E. Anchoring the judging panel will be Gerald Harrison himself. 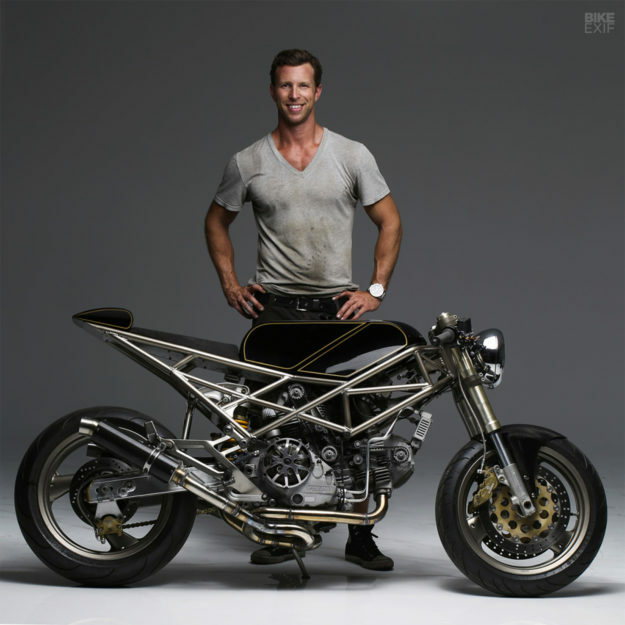 His collection now includes more than fifty of the most beautiful Italian bikes ever made, including a dozen custom builds from the world’s most esteemed builders. He’s a man of exceptional taste with an eye for design, and also a hopeless automotive addict. So if you already have a little experience of bike building under your belt and feel ready to step up to the big league, get in touch. 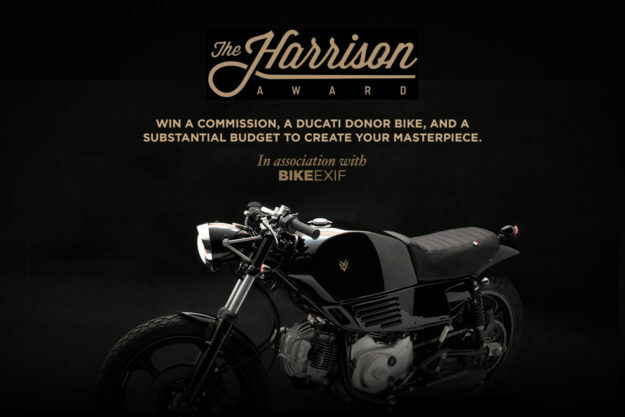 Visit The Harrison Collection Award website and submit your entry now.